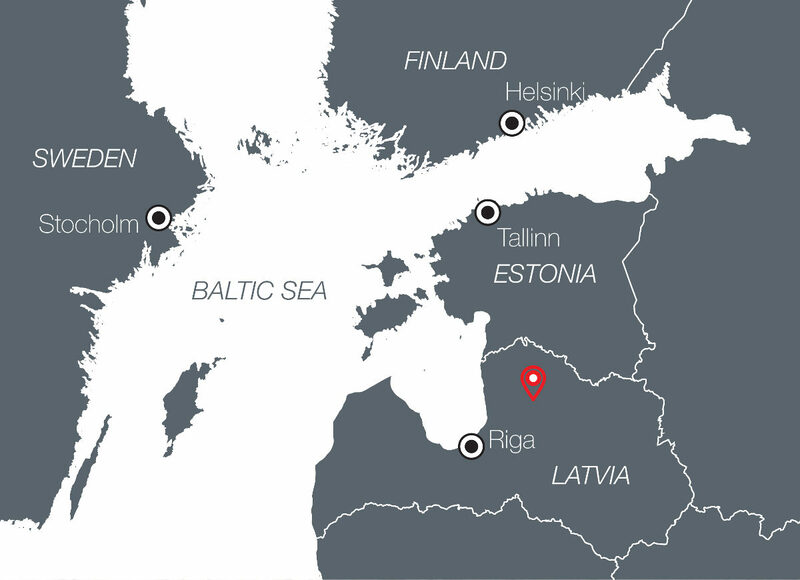 Mushrooming is a national passion in Latvia, Estonia and Finland. Trying out a mushrooming experience is part of getting to know the local way of life and doing things the way locals do them. The forest terrain in the selected mushrooming spots is easy to walk, covered with moss, fallen leaves and small plants. Occasionally there are bushes, some fallen trees or wet spots. Gauja National Park, established in 1973, was Latvia’s first national park, and it has great traditions in environmental tourism. 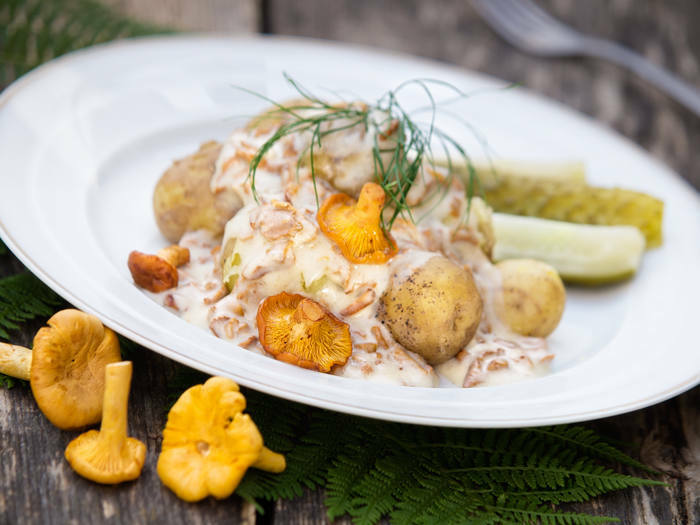 The most popular edible mushrooms are the various Boletus and Chanterelles. The selected species for foraging are chanterelles, russulas and various boletus: Chestnut Bolete (Gyroporus castaneus), Lurid Bolete (Boletus luridus), Sheep Polypore edible tree-fungus (popular in Scandinavian cooking) (Albatrellus ovinus), Golden Coral (Ramaria aurea), Coral Tooth (Hericium coralloides), Parasol Mushroom (Macrolepiota procera), Ceramic Parchment (Xylobolus frustulatus) and Wood-Rotting Fungus (Phellinus nigrolimitatus). N.B. For comfort and safety it is recommended that participants wear outdoor clothing and footwear. The ride from Riga to Kārļamuiža country hotel in Gauja National Park takes approx. 1 hour 30 min. Arrive at Kārļamuiža Country Hotel. Meet the fungi guide (English speaking, professional nature guide, owner of two dogs that are trained for fungi hunting), briefing and preparation for mushroom picking. 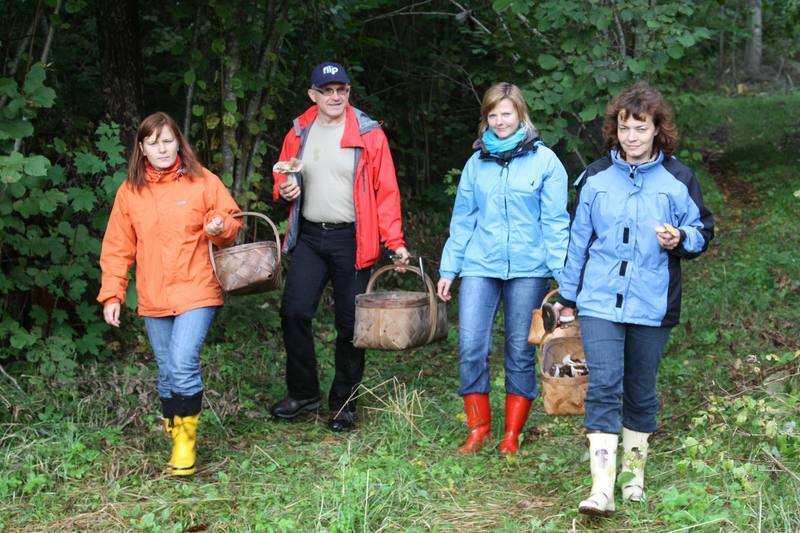 Lunch boxes and mushrooming equipment – baskets, knives and raincoats will be provided for each person. Drive to the mushroom picking site (approx. 15 min.). Picnic lunch in an open-air picnic spot in the forest by the River Gauja (approx. 30 min.). Guided mushroom picking (approx. 1 hour) in the forest. Return to the hotel (approx. 30 min.). Sorting the mushrooms together with the fungi guide to identify the species found. Cooking dinner with the chef at Kārļamuiža Country Hotel (approx. 2 hours). Cooking is done in front of the group as a demonstration with an explanation of the recipe. Other dishes are available apart from the mushrooms.